Product Description Subtle Beauty. 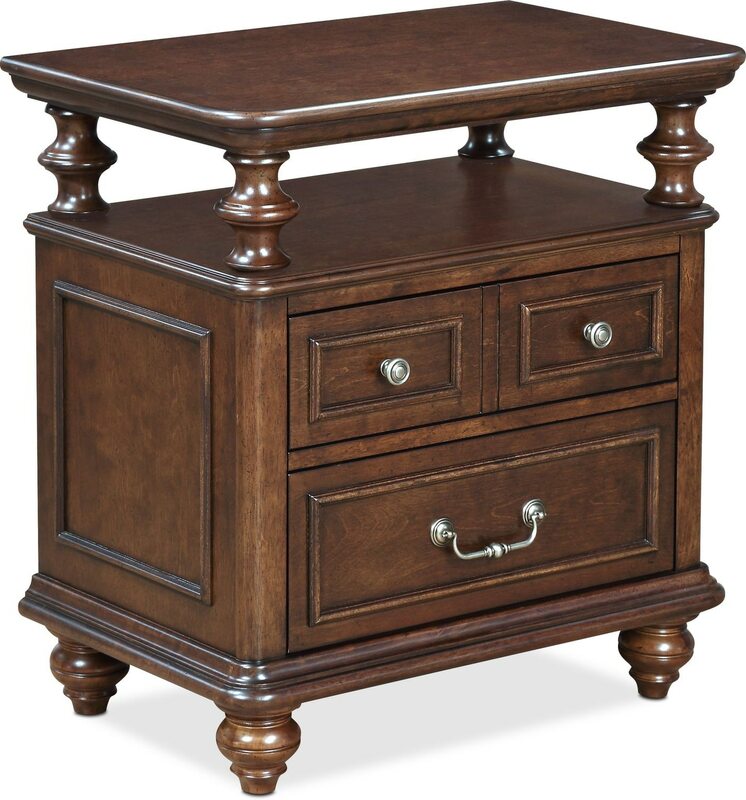 Channel the serenity of a quaint cottage with the Charleston open-top nightstand. The tobacco-colored drawers perfectly pair with a variety of bedroom furniture to bring out the charm of the rustic countryside. An open top with turned supports and a raised surface add stylish functionality. Pewter-finished hardware, stepped moldings and lovely turned feet serve as exquisite finishing touches, providing you with a well-furnished bedroom. Customer assembly required.